» Listings » Logistics Software » NSA Computer Exchange Corp.
NSA has been building relationships with clients for over 30 years. We have used those unique relationships to help people make money, increase efficiency, and achieve their goals. 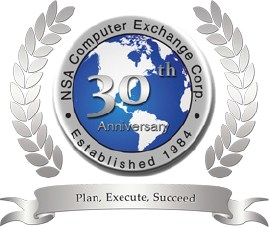 Since 1984, NSA has been helping companies get the most out of their ERP and has continually exceeded our client’s expectations by providing the best service and support in the industry.